Group Tours & DMC Destination Management Company We are the Latin America's leading group travel provider, Destination Management Travel Experts .From small to large groups. Our extensive local knowledge, expertise and resources, specializing in the design and implementation of events, activities, tours, transportation and program logistics make us the Latin America's leading travel experts. 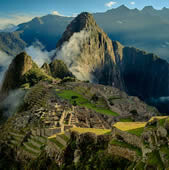 Tailor made Peru Travel Build your own Peru itinerary, Specialists in curated tailor-made itineraries Peru and Latin America. Contact us for a FREE itinerary & quote. Christmas Travel & Holiday Season Wake up next Christmas morning to a wonderful view of Machu Picchu. Christmas & New Years Holidays Travel Specials throughout Latin America. Find amazing deals on last minute Christmas & New Year getaways. Huge savings on Holidays. Private Tailor-made & Small group tours. Cruises, Cruise Lines, Cruise Tours & Cruise Operations We have the largest inventory of cruises. We will find the perfect cruise deals, discount, last minute cruises, cruise lines and cruise vacations. Or visit South America by Sea. A new approach to the best-known destinations. Our regional structure in South America and recognized presence in the cruise industry, let us provide to our partners the highest quality standards in all our destinations, with competitive and customized proposals for shore excursions, overlands and pre or post tours. Golf Tours & Golf Tournaments in Latin America The Ultimate Amazing Golf Vacations, we are a dedicated team of Golf travel specialists, committed to providing you Golf vacations, packages and travel in Latin America. Taking your to the premier events for the golf travel industry. Private Golf vacations to Individuals and groups all with the support of Latin America's most recognized golf vacation provider. "MICE" Meetings, Incentive- Conferences-Exhibitions/Events, Incentive Travel in Peru & Latin America We specialise in handling your Group, Incentive or Conference business so you can relax knowing that our experts are looking after your VIPs. Travel planning for organizations, companies, round a theme or topic, such as profession trade organization, a special interest group, team building and employee incentives travel reward programmes. Senior Travel - Vacations for Seniors Peru Senior Travel specializing in private tailor-made and group tours for the 50+ traveller. With over 100 destinations and cruises to choose from, our tours offer the traveller choice, interesting itineraries, flexible pacing, good value and quality. Our tour prices includes airport pick-up and drop-off, airfare and all airport taxes, carefully selected accommodation, all gratuities (for hotels, drivers, guides & cruise staff), meals, insurance for cancellation and health, services of our cheerful experienced tour leaders, all prices guaranteed. A worry-free holiday! Parties, Weddings & Special Occasions We organize special celebration, wedding, events, reunions. We organise it all from start to finish. Honeymoon Packages & Romantic Tours Honeymoons, destination weddings, and unforgettable anniversary trips. Wedding and honeymoon vacation packages. Exclusive honeymoon destinations for weddings and honeymoons. The most original & adventurous honeymoon ideas from the leading honeymoon operator. Specializing in personalized experiences, exotic locales and boutique hotels for the discerning honeymoon couple. TV Films, Documentary & Photographic Productions We provide with all the logistic, professional and technical support for international film productions and special expeditions in Peru and Latin America. We have extensive experience with production and expedition support and have many contacts with those who work in this field. Our clients include the Discovery Channel, National Geographic Expeditions, NBC Television, NFL Films, and famous photographers. 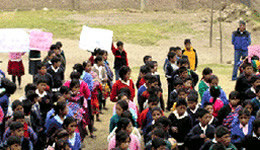 Scientific, Exploration & Research Expeditions We initiated a programme of scientific expeditions focusing on scientific, conservation, education and community whose primary or secondary purpose is scientific research and discovery, a world-class team international explorers will accompany this special expedition to share their knowledge and insights with you. Our customers include from renowned professional in every field to famous scientist, explorers and researchers. Thanks Giving Tours 2019 Enjoy the start of the holiday season with our travel deals for Thanksgiving. Plan a trip with the family, or take advantage of the long weekend break. Travel Latin America with the foremost award-winning luxury travel company since 1975. All of our itineraries are custom-built for our customers by the most experienced travel specialists. We also provide set-tours and tour ideas fully customizable to suit your needs and requirements. From the super exclusive VIP ultra-luxury tours with private jet travel, luxury hotels and private homes of distinction and concierge service to honeymoon and romantic getaways for upscale and budget requirements; family and group leisure travel to private venues and team-building events for business trips; wildlife excursions and scientific expeditions to cultural and archaeological trips. Our adventure department also caters for treks and extreme adventure tours. Providing services to customers worldwide we offer unsurpassed attention to detail throughout your trip. Recommended by our many customers over the years including our Forbes listed customers along with renowned travel guides such as Footprints, Frommers and Fodors, we also come highly recommended by The New York Times, USA Today, Trip Advisor, Perfect Weddings, Global Post and many more. Plan your trip of a lifetime with the experts! Since 1975 we have built our network of locally based offices in the most important cities of Peru, Ecuador, The Galapagos Islands, Brazil, Argentina, Costa Rica, Mexico, Chile & the Caribbean. We also have dedicated travel partners in many other worldwide locations. With the best prices on every trip, guaranteed!. Avoid brokers and middle-men, book directly with the local tour operator. Fully customizable and flexible Peru and Latin America travel itineraries to suit any budget and your exact requirements. 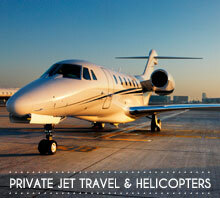 Specializing in VIP luxury travel, private jets, helicopter transfers, private yacht charters and private train charters. With our own luxury fleet of vehicles including Porsche, Audi, Range Rover, Mercedes-Benz and Cadillac limousines. All-Inclusive Luxury Tours: Travel in the most luxurious fashion imaginable. Our Peru Luxury Tours are deluxe private tours with the best guides in Peru, including luxury world-class hotels, traveling in luxury vehicles, dining at luxurious restaurants with a la carte meals and with a free deluxe gift at the end of your vacation. These luxury Peru holidays are the finest tours available and offer the ultimate Peru travel experience. Group Tours: Our escorted small group tours offer a very comfortable and carefree Peru vacation with permanent English speaking tour leaders throughout the entire trip whilst in Peru. All our escorted Peru holidays include new private minibuses, excellent Peru guides, quality accommodation and some meals with the comfort of a permanently assisted Peru group tour. Fixed date Peru tours and weekly scheduled Peru Escorted Escape departures allow for a fully flexible Peru vacation hassle free. Adventure Tours: Peru is a prime location for a wide variety of adventure tours from mountain biking to Peruvian Paso Horse riding trips; from river rafting excursions to kayaking tours. Whether you are looking for a climbing vacation or trekking holiday in throughout Peru and Latin America. Family Travel: A choice of fabulous family getaways to Peru ranging from Soft Adventure and Amazon Rainforest experience to cultural visits of a new 7 wonder of the world - Machu Picchu. Choose from one these Peru family travel packages to fun-filled, educational Peru excursions throughout the whole of Peru. All of our Peru family vacations are crafted to allow for families to enjoy a unique and authentic experience whilst on your Peru tour with the knowledge that your Peru family holiday is a safe and carefree Peru Family Travel vacation. Christmas in Machu Picchu: One of our signature Peru tours, our Christmas Peru Holidays have been immensely successful for several years allowing for a very special, guided Peru tour with a permanent tour leader during the Christmas Holidays. All our Peru Christmas tours are based on small group travel or custom-made Christmas Peru tours, private minibuses, knowledgeable Peru guides, excellent accommodation during the Christmas week allowing to wake up and experience the incredible Machu Picchu on Christmas day. A true Peru travel highlight of the year. New Years in Peru: Another very special Peru tour is our New Years Peru tour allowing to welcome in the New Year in Peru, the land of the Incas. This Peru holiday special comes with a permanent tour leader throughout the entire Peru vacation and allows for an in-depth appreciation of this fascinating country. All Peru tours are in small groups with expert guides and includes a marvelous Gala Dinner at the Monasterio Hotel in Cuzco, the ancient capital of the Incas. Special Interest Tours: Peru appeals to many people from all walks of life and with all types of interest and we share our knowledge of Peru by offering esoteric, special interest Peru tours and Peru vacations throughout the country. This includes less well-known but equally fascinating parts of Peru from off-the-beaten track Peru destinations to the wonders of the Peruvian highlands; from fabulous Peru railway journeys,to group departure women-only Peru tours; we offer authentic and mystical Peru tours with Shamanic guides, to special Peru tours for wheelchair users and those with mobility restrictions. We also offer Peru fishing trips, South American Golf, Wine Vacations, Peru wildlife holidays and Peru bird watching itineraries whether you are interested in a Peru photography tour or a Peru nature holiday. -Real- Peru and Family Stay: The most authentic Peru vacation available today; our Real Peru Holiday where you will have the opportunity of staying with a local family and sampling how the local Peruvian people live, work and travel. This fascinating Peru Tour allows for a better understanding of the people and offers a very interesting and rewarding insight, along with a unique Peruvian experience. Help a local family with the daily chores, from working in the fields to preparing delicious Peruvian cuisine whilst visiting the fabulous Peru highlights such as Machu Picchu, Lake Titicaca. 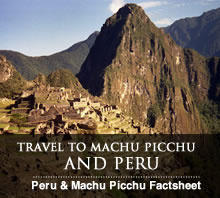 Peru – Off the Beaten Track: In addition to Cuzco, Machu Picchu and the Lake Titicaca tours, an off the beaten track Peru Vacation to fascinating Peruvian destinations can offer visually stunning landscapes and afford a very rewarding Peru holiday for those wishing to escape the Peru Travel tourist crowds. We offer Peruvian tours to lesser known places such as Kotosh, Huancavelica and Chanchamayo. If you are searching for an incredible authentic Peru Travel experience, visit Peru- off the beaten track. Inca Trail: The world famous Peru Inca Trail to Machu Picchu is one of the greatest trekking routes in South America and indeed the world. Hiking the ancient Inca Trail Paths, culminating at the ancient Inca Citadel of Machu Picchu, also known as the lost city of the Incas is a must-do pilgrimage for all adventure and culture enthusiasts. As you trek through Peru cloud forests, pass Inca ruins and admire beautiful Peruvian orchids and endemic birds, the Inca Trail will reveal itself as the ancient Inca highway it once was. We offer standard Inca Trail treks, First class Inca Trail treks and Luxury Inca Trail treks in varying degrees of exclusivity. Our local porters, Inca Trail equipment, and fine Peruvian cuisine are the best in the Inca Trail Travel industry. Honeymoon & Romantic Trips: Peru and South America offers fabulous locations for both Honeymoon Travel packages and the Romantic Traveler at heart. Romantic Escapes and idyllic Honeymoon Holidays are found throughout South America with Peru at the forefront as a romantic holiday destination. Offering beautiful romantic escapes, luxury hotels and spas, first class restaurants including stunning former monasteries, Peru is an ideal destination for your honeymoon abroad. If you would like to plan a unique wedding package, South America offers unlimited choices with Peru at the top for an unforgettable, romantic adventure in the Land of the Incas. Amazon Jungle: South America is home to the largest tropical rainforest in the world, the Amazon jungle with the entire eastern half of Peru succumbing to the sprawling Amazon jungle. We offer an incomparable variety of Peru Amazon River cruises, Peru jungle tours, Peru amazon jungle lodges and Peru Amazon wildlife Travel packages for group tours and individual Peru holidays. You can visit Iquitos in the north of Peru or the Tambopata Candamo and Manu Reserves in the south of Peru. Our authentic Peru Amazon jungle tours are educational and allow for a clearer understanding of the importance of the rainforest ecosystem, and the need to promote Sustainable Travel Packages in Peru and throughout South America. Short Escapes: Our Cusco and Machu Picchu short escape tours offer the shortest Peru tours possible for those with a limited Peru holiday time frame. These special Peru Travel Packages start and end in Cusco and include visits to those Peru highlights which are essential Peru must-sees. Optional domestic Peru flights may be added. For more all inclusive Peru holiday Travel programmes or those with more Peru destinations you may wish to choose from our Escorted Peru Group Tours or Selected Tours in Peru. 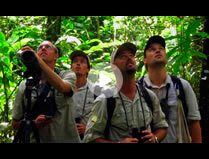 Wildlife & Birding: South America boasts a plethora of world class wildlife and birding opportunities for the expert Biologist and Ornithologist to the amateur wildlife enthusiast. Peru and Ecuador birding tours are amongst the best in the world with expert wildlife guides, perfectly located hides and ecologically sound accommodations. From big cat sightings in the Peru Amazon jungles to Anaconda excursions in the Brazil Pantanal, South America is a real showcase for wildlife and birding tour packages. Ancient Civilizations: Culturally speaking, Peru is the richest country in South America with scores of ancient civilizations and archaeological sites up and down the country. Machu Picchu and the Land of the Incas was the last civilization prior to the arrival of the Spanish and relatively short lived. Before the Incas, countless cultures existed throughout Peru including the Paracas and Nazca cultures, the Chimu, Moche and Chachapoyas Warriors with their incredible fortress at Kuelap. Our Peru cultural tours and Ancient Peru Civilizations Travel packages cover these sites in great detail. Mountaineering & Trekking: Latin America, the continent of the Andes offers spectacular South American mountaineering and trekking opportunities from easy day walks to technical mountain climbs on 6000m plus peaks. Peru and the spectacular Cordillera Blanca Mountain Range offers great Peru climbing challenges from ice climbing to rock climbing; whereas the border of Chile and Argentina offers the highest mountain peak in the Americas, Aconcagua. The remote and rarely trekked Cordillera Huayhuash region in Peru is often regarded as one of the most beautiful treks in the world whereas the Inca trail to Machu Picchu is a world famous trek hiked by thousands of hikers every year. Multi Country Tours: With so many different countries in South America, many people choose a combined South American Travel package for their ideal Latin American trip. With classical South American tours such as Peru, the Galapagos Islands, Peru, Brazil, Chile and Argentina, your ideal Latin American journey can be chosen here. Corporate, Incentive Travel, Conferences, Events in Peru and Latin America: As part of The Amazing Destinations Travel Group, we craft South American Incentive Travel packages, Latin American corporate tours, meetings, events and organization of congresses throughout South America. From unique experiences for VIP groups to individual incentive travel award programmes for national and multinational organizations, we cater for leading companies, private organizations, clubs, schools, consultancies and major brands worldwide. Peru travel Guide and Peru Travel Information: Our Peru Travel Guide give you access to travel information about the most important Peru travel destinations. 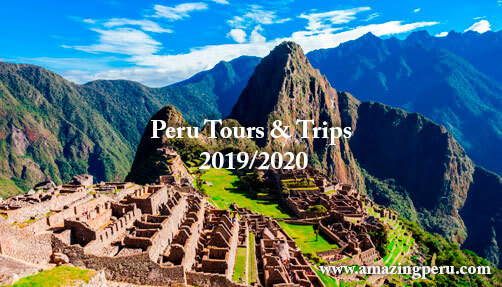 Culture, history, attractions, what to visit, what to bring, climate, hotels, best tours in Peru, Machu Picchu + Inca Trail Trek with photos and videos, Our Peru Travel Guide and Travel Information gives you an overall idea of any destination you may want to visit. The best travel and vacation advise. Call 24/7 Machu Picchu,Cusco, Nazca Lines, Paracas, Puno & Titicaca Lake, Manu, Tambopata, Iquitos,Amazon Jungle, Lima, Arequipa & Colca Canyon, the beaches of Piura & Tumbes, Huaraz & Cordillera Blanca, Chiclayo, Trujillo. Have an Amazing Tour to Peru. Sea and River Cruising in South America: Discover the beauty of the Galapagos Islands, Patagonia, Cape Horn, Antarctica and the Amazon. For a leisurely vacation in beautiful surroundings far from the usual tourist circuits, sea and river cruising has no equal. we offer hotel vessels on itineraries throughout South America that include the most popular excursions and sightseeing in each region. We offer group departures and exclusive luxury private yacht charters for individuals, couples, families and groups. We offer special theme cruises to suit your interests. Cruise deep into the Amazon in search of rare species and sultry river towns. Ponder the enigma of ancient Incas at Machu Picchu. Explore centuries old colonial cities and revel in the cosmopolitan energy of Rio de Janeiro, Buenos Aires, Santiago. Throughout your cruise, we bring the history, culture and natural wonders of South America alive. 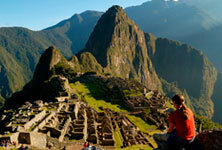 Our South America cruise vacations offer diverse itineraries. Visit Buenos Aires, Callao (Lima), Fuerte Amado (Panama City) and the Amazon's Manaus and Iquitos. See all Sea and River Cruising travel options. 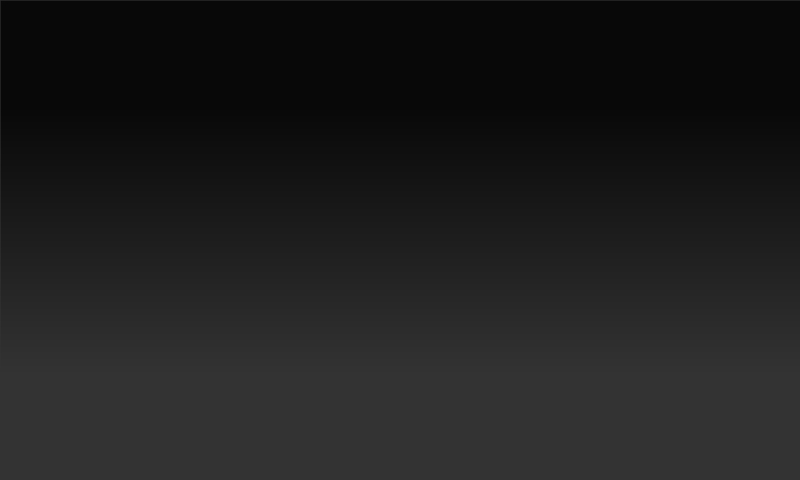 Click here for port details, shore excursions, destination videos and much more. We build memories. A truly priceless luxury. Click here". The Great Amazing Peru Inca Trail adventure as filmed and reported by Tara Hitchcock for Arizona TV. Click here to watch the video!